It began with the proteins. Before Watson and Crick unraveled DNA’s double helix in the 1950s, biochemists snipped, ground and pulverized animal tissues to extract and study proteins, the workhorses of the body. Then, in 1990, the Human Genome Project launched. It promised to uncover the underpinnings of all human biology and the keys to treating disease. Funding for DNA and RNA tools and studies skyrocketed as protein science fell behind. Now proteins are promising to provide the missing link. Biological chemist, immunologist and structural biologist Timothy Springer is reinventing protein science with new technologies. Now Springer has launched the Institute for Protein Innovation (IPI). 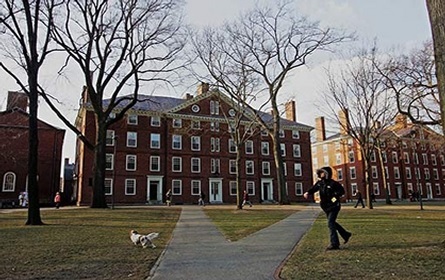 Currently housed at Harvard Medical School, the nonprofit aims to create a massive, openly available resource of protein technologies to accelerate drug discovery and development. Partnering with co-founder Andrew Kruse, assistant professor of biological chemistry and molecular pharmacology at HMS, Springer formally launched the IPI on May 10 with $15 million in grants and philanthropy. Nearly half of all drugs on the market today are proteins, mostly monoclonal antibodies that home in on specific targets in the body, just as our own antibodies target proteins made by disease-causing organisms. Researchers spent decades producing antibodies in the lab that blocked or activated proteins’ function. This helped investigators figure out what genes and proteins do in the body. Seeing their success, drug developers began seeking to mass-produce antibodies that would target protein culprits in diseases such as cancer. 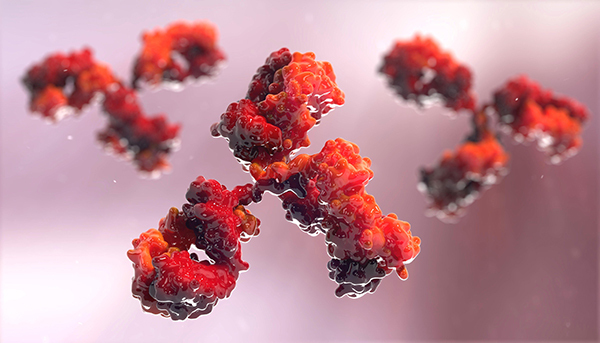 However, the development of antibodies for use as therapeutics faced—and still faces—major hurdles. First, antibodies are traditionally produced by immunizing animals like mice with a target human protein. That process is often slow and not always effective: If the mouse and human proteins are too similar, the mouse immune system won’t recognize the human protein as foreign and won’t make an antibody. This leaves many extremely important molecules without targeting antibodies. Second, many antibodies used in published research studies have not been properly validated through extra testing. This makes it difficult to reproduce the results of pivotal antibody-based studies, slowing scientific progress. To circumvent these problems, researchers including British biochemist Greg Winter invented robust “molecular display” technologies. They involve creating immense libraries of unique antibodies or antibody fragments. Researchers insert the genes for antibodies into one-celled organisms such as yeast, modified so that the antibodies made by the yeast are displayed on their surface. Billions of yeast cells, each bearing a unique antibody, are then mixed with the protein of interest. The final step is fishing out the yeast that bind to the target proteins most strongly, through a two-step process. Because the yeast make the antibodies as instructed by inserted genes, the organisms can be used to create antibodies to molecules that a mouse immune system wouldn’t respond to. In addition, the technique can be scaled up for the high-throughput approaches of genomics and proteomics. But there are other problems yet to solve. Many proteins that would be used as targets in the antibody selection process are still extremely difficult to produce. Expertise in antibody manufacture is also lacking. Springer believes the solution is an infrastructure to make, develop and validate synthetic antibodies and their target proteins at a scale never before attempted. The IPI’s first major effort will be to develop open-source libraries of well-validated antibodies targeting every human protein found outside cells. Unlike Springer’s other commercial start-ups, the IPI is an academic-entrepreneurial hybrid. By straddling the traditional divide, Springer hopes to create alliances between leaders in academic research, biotechnology, the pharmaceutical industry and biomedical investing, while providing open-source resources to the scientific community at little or no charge. The institute will publish its technical processes and share its know-how freely, equipping the next generation of protein scientists. Springer intends for the IPI to stay afloat through a mix of public and philanthropic investment, including $5 million from the Massachusetts Life Sciences Center and a $10 million gift from Springer himself. With the 2018 NIH budget poised to be cut 18 percent, the effort could not have come at a better time. Springer conducted his postdoctoral studies with Nobel laureate César Milstein, who co-invented monoclonal antibody technology in 1975. This invention has led to far more drugs than have come from genomics. Springer sees IPI as the embodiment of Milstein’s vision of using antibodies to target disease.